Due to popular demand, we’re currently accepting import orders for the month of March. Please note that the import window will be open within the period, 4th – 10th March, 2015. Based on your requirement, kindly send in a list of the items you’d like to order and I’ll revert back with the prices and mode of payment. Once payment notification is received, your orders will be placed immediately. So when will my orders arrive? If this question is running through your mind, all orders placed within this period will arrive by 2nd week in April (Apil 11,2015) and it’ll be shipped out immediately. For Ladies who’d like to place an order from individual manufacturers listed below, it’s important you take a decision on the products you want on time as these manufacturers often require additional 3-5days to process orders and once you factor in transit and delivery timelines, some products might not arrive on time (Hair Trigger Elixir, Hairveda Sitrinillah, Hairitage Hydration, Naturellegrow, Bee Mine Deep Conditioners, Darcy’s Botanicals, Vanilla Silk Dreams and a whole host of other individual manufacturers). Please note that the import window closes by March 10th 2015. Simply fill in the form below and I’ll revert with required information for each individual order. We’d like to inform ladies who’ve called in to pre-order for Manetabolism Vitamins that new stocks have arrived and you can place your orders by clicking on the link here. While prepping up my hair for a wash today, I had time to reflect on some of the practices and changes I’ve made to my hair. The most frequent question I’m asked at the salon is “Aunty, do you prefer cold or hot water to wash your hair”? Over the years, I haven’t had the desire to probe why this question is often asked at most Naija hair salon till I began the quest for healthy, long relaxed hair. When I commenced my journey, I often used cool water to wash my hair. This I did continuously for a year before evaluating what was working in my regimen. A common feature of a typical wash day is the 1hour prepoo session, consisting of a protein deep conditioner and a mix of several natural oils. Using cold water will not get rid of the product buildup and once my hair is dry, I often have this coated film over my hair which indicated I was doing something wrong. Why Hot Water is Essential: An important reason why you need to use hot water when washing your hair is it opens up your hair cuticles. If cold water closes the hair cuticle then hot water opens it up and it needs to be open when you cleanse and condition. Then you can easily remove any dirt, build-up and oils from your hair and be sure that your hair will effectively absorb everything you put in it. 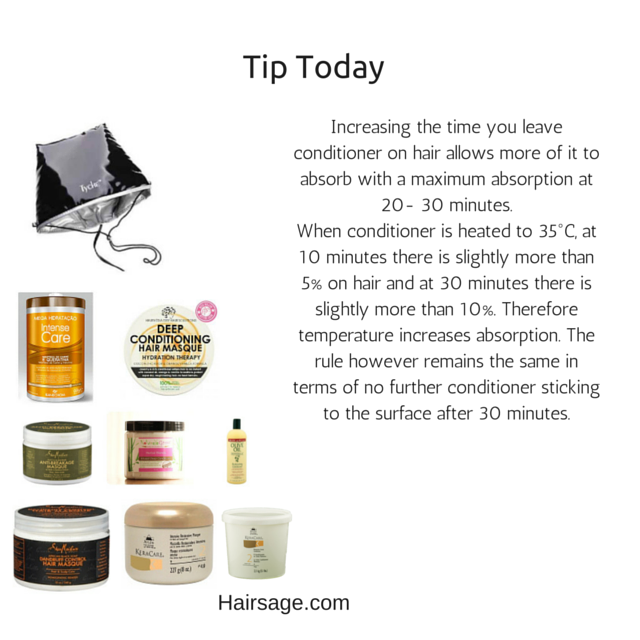 Today, as you prepare to wash and deep condition your hair, never stray from this basic rule. Incorporate the use of hot water when washing your hair and you’ll see tangible results sooner than you think. Caution: Always ensure you mix an adequate amount of cold water with the hot water. It should be in a ratio of 60:40 with 60% being hot water and 40% cold water. The thing is that hot water can be quite harmful at times but you also shouldn’t use solely cold water for washing your hair. The best strategy for most ladies would probably be to use warm water instead of hot when shampooing and conditioning. Don’t apply cold water at that point because you want the scalp pores and the hair cuticle to be open. If you feel like there’s particularly much grease and oil in your hair then you may turn the water from warm to hot in order to really open up everything and get those things out but remember that frequent use of very hot water is damaging and you have to be careful. Use cold water only for your final rinse in order to seal everything after you’re done and remember that it doesn’t have to be ice-cold – choose a temperature that you can tolerate. I’ve got an ongoing nasty habit. On days I wear my hair out, I often have my hand in my hair searching for a split end or single strand knots. Often times, I might not have access to my scissors and end up popping these offending hair shiznits (as I like to call them). The other habit is twirling my hair around my fingers once I’m behind the wheels driving. It’s a bad habit I know, but it’s become a daily ritual and I’m trying to wean myself off the wide path that leads to hair destruction. To kick this habit to the curb, I’m indulging in some protective styles I came across on Pinterest. I still intend to wear my hair out but by the 2nd half of the day, it’ll end up in a messy bun held up by bobby pins. To other matters, I’d like to give a special shoutout to a reader on this blog who has gone ahead to establish an online food delivery service within the heart of Calabar. If you’re on vacation or reside and work within this serene city, then it’s time to get your food groove on by placing an order with ‘Dineoutng‘. They’ve got a range of indigenous and international cuisine available. They also cater for corporate organizations, weddings, bridal showers, baby showers and a whole lot more.